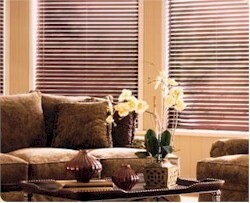 We promise to provide you a refined design experience through a portfolio of distinct window treatment décor that enables you and your designer to create incomparable looks for your home. Kirsch is a division of Newell Rubbermaid. Newell Rubbermaid Inc., an S&P 500 company, is a global marketer of consumer and commercial products with 2011 sales of approximately $5.9 billion and a strong portfolio of leading brands, including Rubbermaid®, Sharpie®, Graco®, Calphalon®, Irwin®, Lenox®, Levolor®, Paper Mate®, Dymo®, Waterman®, Parker®, Goody®, Rubbermaid Commercial Products® and Aprica®. Kirsch is headquartered in Atlanta, GA. Newell Rubbermaid is also headquartered in Atlanta, GA and employs over 20,000 employees worldwide.